The Bible is the best of all books, for it is the word of God and teaches us the way to be happy in this world and in the next. Continue therefore to read it and to regulate your life by its precepts. 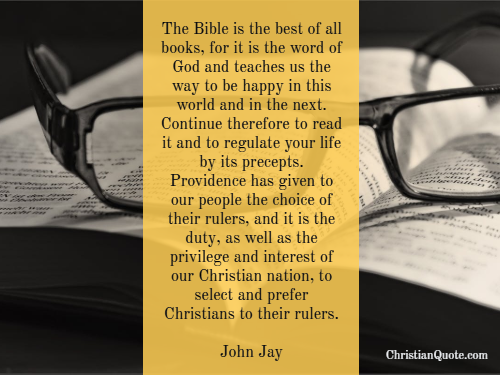 Providence has given to our people the choice of their rulers, and it is the duty, as well as the privilege and interest of our Christian nation, to select and prefer Christians to their rulers.